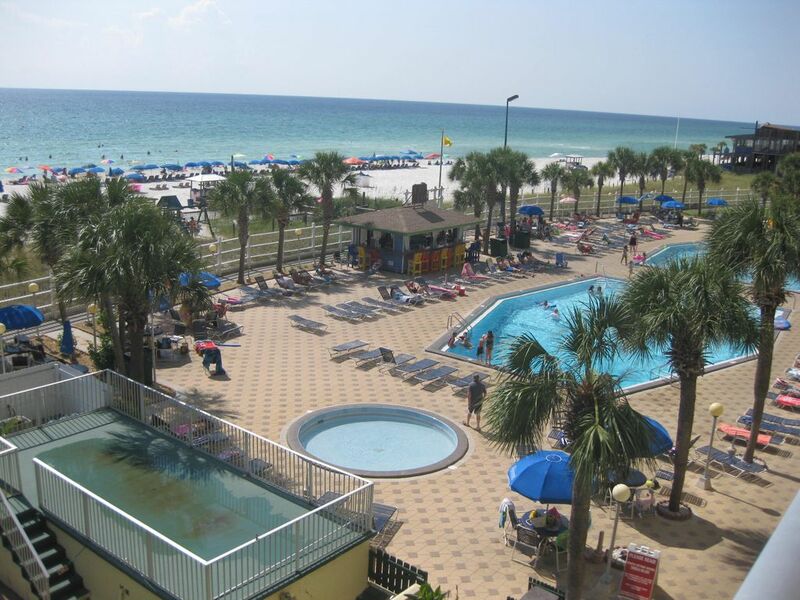 Unit has a private balcony overlooking the beautiful Gulf of Mexico. Unit has all the amenities to make life easy and enjoyable on your vacation. Cable TV in living room and bedroom. Condo has a king-size bed, queen-size sleeper sofa, and built-in bunk beds. This a NO Smoking units! Smoking is allowed on balcony. The Summit has gated security. Come and enjoy the easy life. We really loved our condo we had. It was just right for me and my family. I'm hoping we can rent the same unit next year when we go back. Love the Summit Resort...it has everything you need...3 pools, 3 hot tubs and a beautiful beach with clear water and white sand. Our unit provided what we needed for our stay with the exception of storage space for clothes for a month. There was lots of noise upstairs in the evenings. It would have been nice if the Tiki bar had been open. Beautiful sunsets, close to shopping, golfing, and fun. The condo has beautiful gulf views. The crashi, zdx cc x,, xxv x x cng waves help ease any stress. The rooms were clean and well equipped. I highly recommend this unit for anyone looking for a great vacation. Awesome vacation. The condo was nice and clean. We had the best time, thank you so much!